How to Make a Pocket Letter with Cocoa Daisy! | Finding delight. 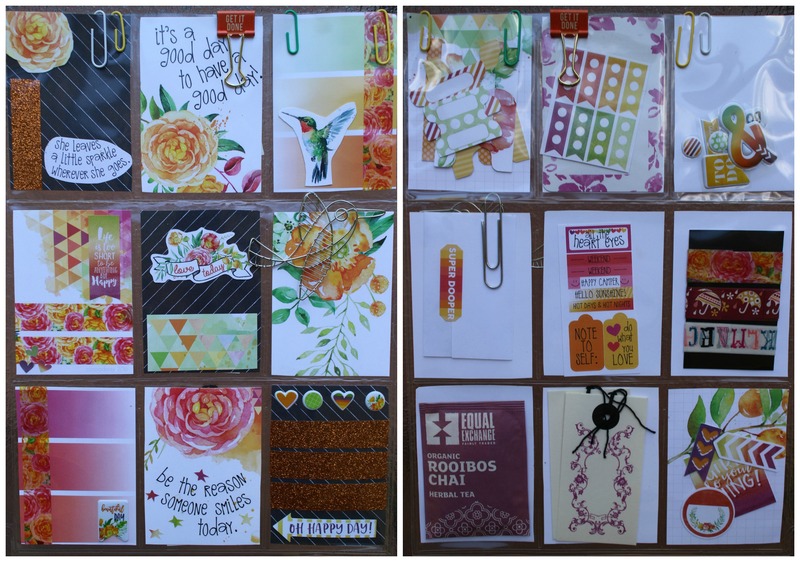 How to Make a Pocket Letter with Cocoa Daisy! 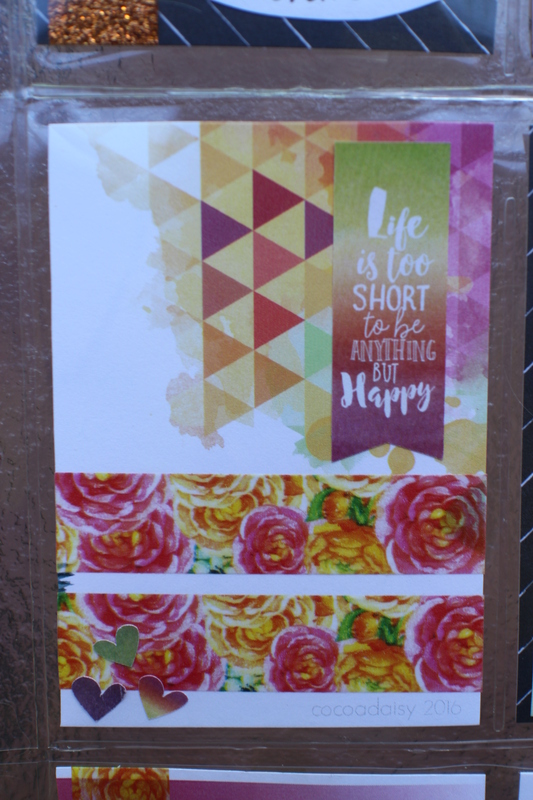 I reached out to Cocoa Daisy a few months ago in the height of my planning/pocket letter frenzy and they were generous enough to send me their August 2016 Planner Kit on the house. Once I opened the package I was absolutely blown away. You can see the full unboxing HERE, if you like. Everything inside the kit was so gorgeous that, once I set up my planner for the month, I couldn’t wait to use extras to whip up a pocket letter for a lucky someone. And I’ve gotta say, I am SO happy with how this little guy turned out. Everything in the Cocoa Daisy kits coordinates so beautifully. This makes putting together a pocket letter super easy. But there’s no shortage of choices. 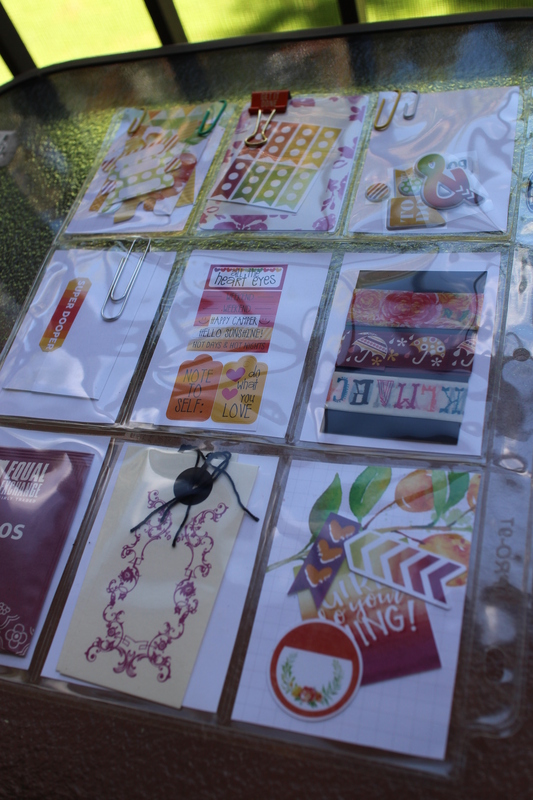 Prints, paper, stickers, die-cuts, washi, clips, and embellishments are all in abundance. Do you die?! Because I die. Excuse me while I stare at this creation for the next hour or so! * Everything is from the kit unless otherwise specified. I wanted to utilize some of the great prints that came with the kit so I cut the two smallest options down to fit a pocket and kept their quotes as the focus. 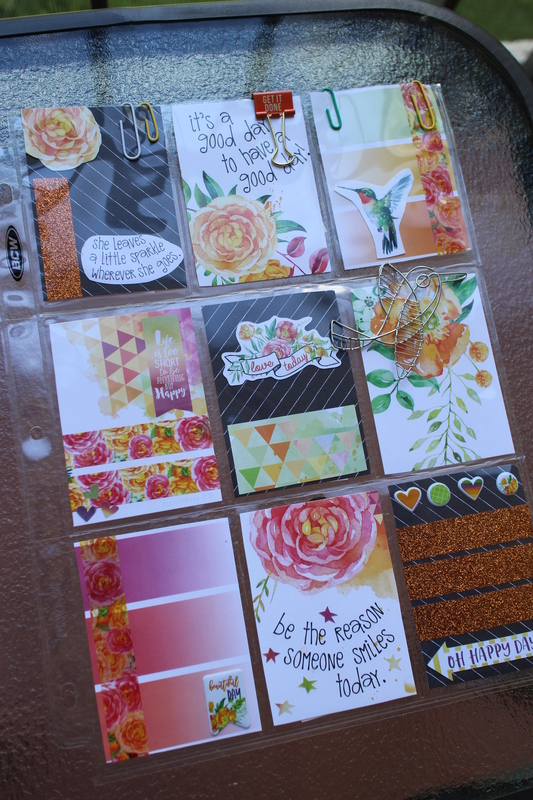 Two other pockets were cut from larger prints (the flower and the triangles) and two more came from a set of planner pages I didn’t end up using/ The black cardstock with diagonal stripes is from my own collection and I think it provides an interesting contrast. Everything else, except the small paperclips at the top, is from the kit! 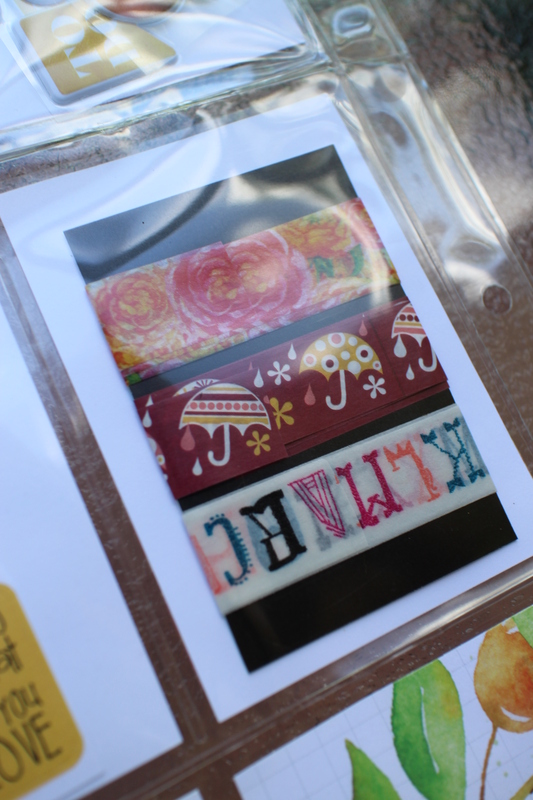 I love how well the Cocoa Daisy washi works with these other patterns I had in my collection. 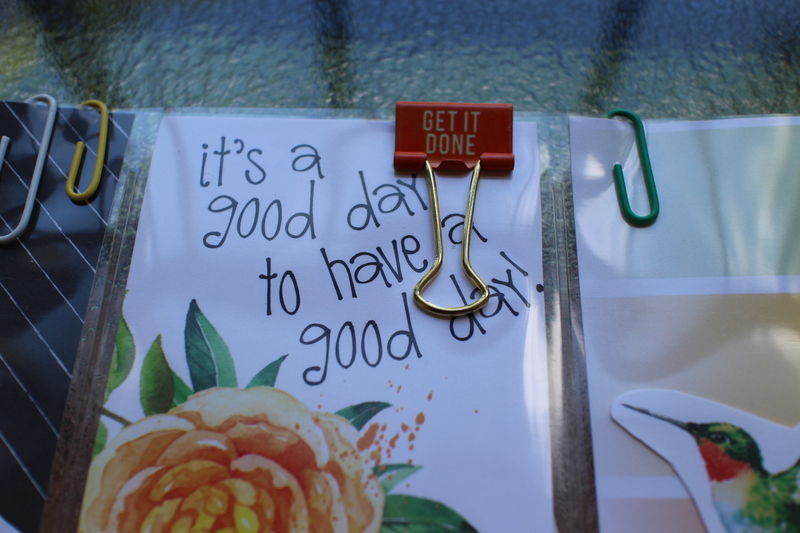 And how cute is this GET IT DONE binder clip? The clips at the top help keep the goodies from falling out! 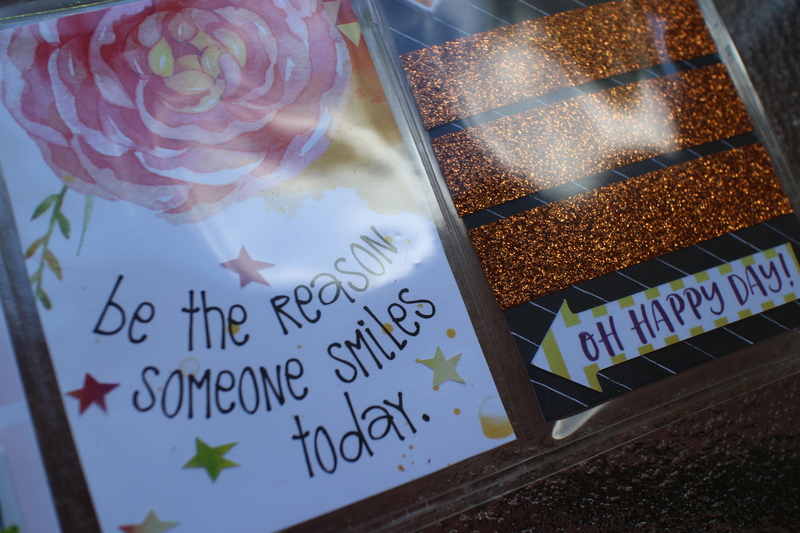 And Lord, how I love a copper glitter tape…not to mention the sweet quote. Sigh. Cocoa Daisy you’ve really outdone yourself. Do you love this pocket letter as much as I do? I can’t wait to send it off to a special someone. I hope it brightens their day! Pingback: Balancing Minimalism and Joy: What Do You Collect? | Finding delight. Pingback: A Spring-Themed Pocket Letter | Finding delight.